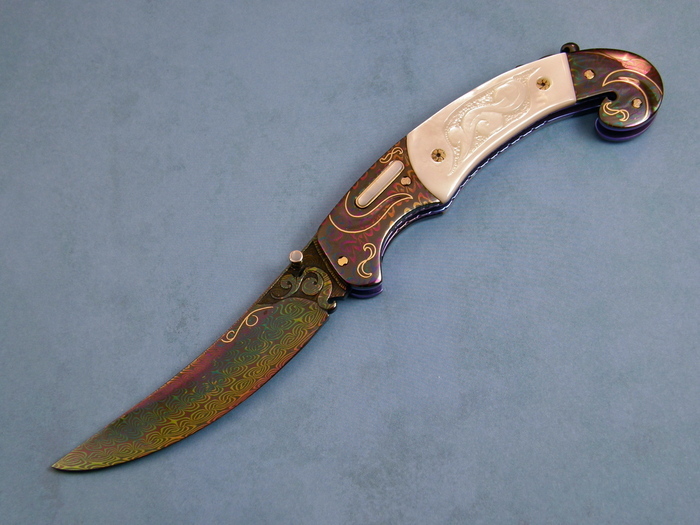 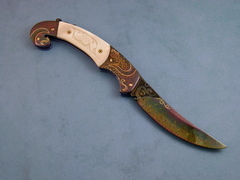 This is a beautifully done Persian style knife by Shaun & Sharla Hansen. The blade and bolsters have been anodized with rainbow colors. 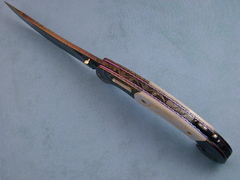 The blade has been carved and inlayed with gold. 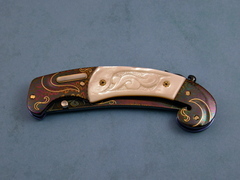 The Pearl handle has some deep carving as well. A magnificent piece.